Ride in a boat? Good idea! And it gets even better with good company. 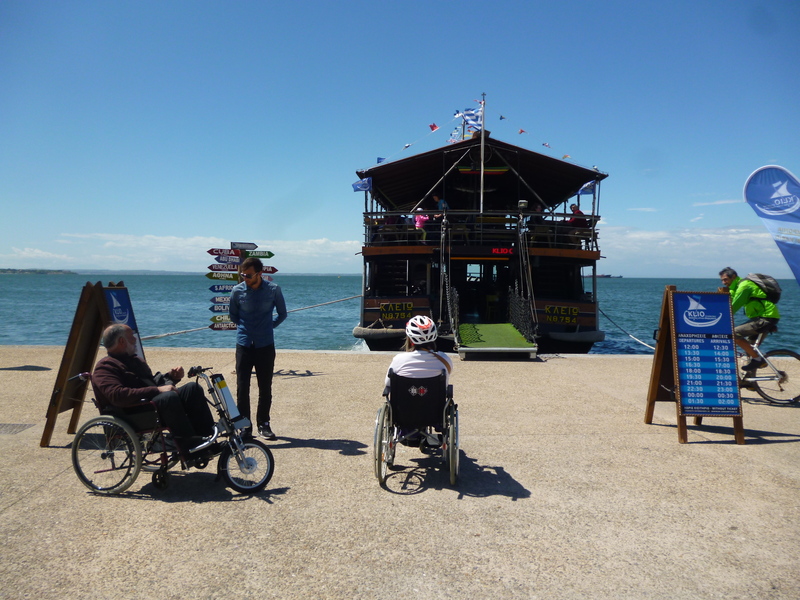 After a nice ride with the electric wheelchair and the qualified escorts of Health Guardians organization at the coast, we board at the boat to enjoy the wonderful view of Thessaloniki from the sea. Highlight: Ride with the boat. Main attractions: White Tower, Umbrellas, parks, the statue of Alexander the Great, the coast, the harbor, Aristotelous Square, Christian’s Youth Brotherhood of Thessaloniki, tower of Hellenic Telecommunications Organization, and the shopping mall. (Walks, photography – we design the ride along with you)*. * The route is possible only if the weather conditions permit it.